There were a record number of visitors recorded at this PATS Sandown – the biggest PATS in the show’s 11-year history! Thank you to those who stopped by our stand – we met lots of new customers and caught up with existing ones whilst showing off our new exciting product launches alongside the current range. Top products for 2019 alongside the range of Harkers products included the long awaited, back in stock, Otodex Skin Cream, our newest addition; Oxbow Natural Science Papaya Support; and as always the newest Vetbed designs. If you missed Otodex at PATS, the Skin Cream is back in stock and available to order now! A soothing aid in the treatment of Eczema, Sore spots, Abrasions and Minor burns on cats and dogs. The newest addition to our range of Oxbow products for small animals and officially launched at PATS, Natural Science Papaya Support. Designed to support the digestive health of small pets, these healthy snacks include papaya and pineapple and help ensure small animals have excellent digestion. Our latest Non Slip Vetbed® designs were unveiled at this years PATS and the orders are already flying in. The mottled brown with brown paws and cream stars and lilac with butterfly pattern are both now in stock and available to order! Vetbed merchandising units are also available. Quote PATS when ordering and you can take advantage of the exclusive show offer. 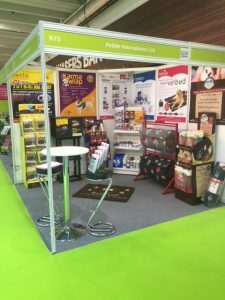 Harkers will once again be exhibiting alongside sister company Petlife International Ltd. at PATS Sandown for 2019, with new dates introduced for this year. Usually held in March, for 2019 the biggest trade show in the UK will be taking place on 10th and 11th February. Returning to the Surrey Hall in a new location on stand E9, we’ll be showcasing the full range of Harkers range of healthcare, hygiene and feed supplements for racing pigeons. Taking centre stage on the stand will be award-winning Harkers 4 in 1 Soluble – a 4 in 1 treatment for canker, coccidiosis, worms and external parasites. The product won the award for Best Product in the Bird category at the PATS Telford show in 2018. Also on display at this year’s stand alongside the full range of Vetbed® bedding will be the Oxbow range of feeds, treats and supplements for small herbivores, as well as the popular Vizlite® DT Dog Jacket which features a light reflecting strip that doesn’t just reflect light but charges under any light source and emits it for up to 8 hours. The jacket is popular, being lightweight and extremely thermally efficient. Alongside this extensive range will be the new Vetericyn Plus® wound and skin care management products, which mimic the response of an animal’s natural immune system to fight infection – accelerating the healing time for wounds. We look forward to seeing customers old and new at PATS Sandown; visit our stand for exclusive show offers and deals. If you can’t make it but would like more information on any of the products mentioned, please give our sales team a call on 01284 761131. Returning to the Telford International Centre for another year, Harkers and its sister company Petlife International took their usual stand space on E40 on the 23-24th September to meet pet trade buyers from across the UK. 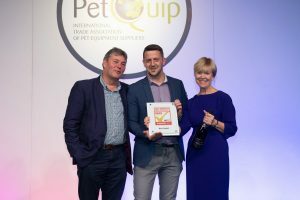 This year marks a special occasion for Harkers’ sister company Petlife International, as they celebrate their 25th anniversary in the pet trade world. And to add to the celebrations, Harkers won an award in the show’s New Product Showcase – winning the prize for the bird product with their Harkers 4 in 1 Soluble, beating some tough competition. “This bird health product fulfils a need in the market, it is easy to administer and has clear instructions on usage. It will also have a long shelf life” PATS representative. “We are thrilled to win the PATS New Product Showcase Award for best bird product – Harkers 4 in 1 Soluble for pigeons is the result of tireless research and innovation, and the award is recognition of all the hard work and dedication that the entire Petlife and Harkers team display on a daily basis” James Hancock, Sales and Marketing Director for Petlife and Harkers. At the show the team also unveiled their 2018 Christmas Vetbed® range to visitors, featuring a charcoal with snowmen design, as well as a light blue with white and dark blue swirls and snowflakes and a catchy “I believe in Santa Paws” design – all being very well received. The team are now gearing up for the London Vet Show 15-16th November at the ExCel, just before a busy Christmas period. On display will be a comprehensive range of products including the 2018 Christmas Vetbed collection. A real treat for all well-behaved dogs, the range will include snowflakes with swirls, snowmen with paws, and “I believe in Santa Paws” too. After an incredibly successful launch of the Vizlite reflective jacket for dogs last year Petlife will be supporting visitors to the stand with 25% off the current Vizlite trade prices and supplying POS support, including a free standing merchandising unit with an integrated video display. Other favourites including the original Vetbed, Otodex Eardrops, Harkers and the Oxbow range of small animal products will also be on view, with special show offers including 5 + 1 free on all Vetbed rolls and pre-cut pieces and an extra 10% discount across the entire Oxbow range. Plan your visit to PATS Telford here. On the 20th-21st March Harkers’ sister company Petlife International returned to the Surrey Hall on stand K13 at PATS Sandown 2018, showcasing new products as well as old favourites to current and new customers. Our recently introduced Vetericyn Wellness Centre was very well received at the show after being featured in the show’s new product showcase, catching the eyes of both existing and new customers. There was also lots of interest in new Harkers products 4 in 1 Soluble and Harka-Dip, with orders placed at the event. VizLite DT Dog Jackets were also popular, with lots of pre-interest in the display unit with integrated motion-sensing video display for Autumn 2018. 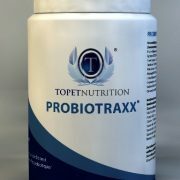 KarmaWrap continued to grow in popularity with buyers as its anxiety-calming qualities once again impressed customers. 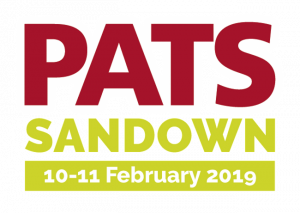 Harkers will once again be exhibiting at PATS Sandown on the 20th and 21st March alongside sister company Petlife International. Returning to the Surrey Hall this time on stand K13, we’ll be showcasing old favourites with new designs as well as brand new products for 2018. The latest designs of the UK’s number one pet bedding, Vetbed® will be on show including a quirky new design “Reserved For The Best Dog In The World”. 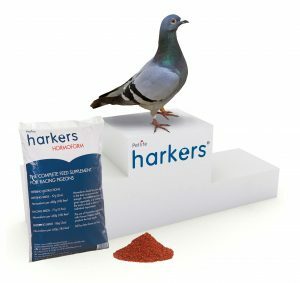 The Harkers range of healthcare, hygiene and feed supplements for racing pigeons will also be showcasing new products recently launched at the beginning of this year, 4 in 1 Soluble and Harka-Dip, as well as Wonder Pigeon GP which has just been launched; alongside the Oxbow range of feeds, treats and supplements for small herbivores. The popular Vizlite® DT Dog Jacket will also be on display – featuring a light reflecting strip that doesn’t just reflect light but charges under any light source and emits it for up to 8 hours. The jacket is popular, being lightweight and extremely thermally efficient. 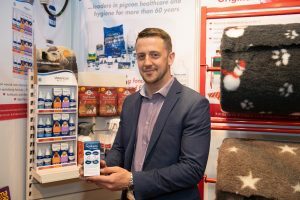 Taking centre stage on the stand will be a new and revolutionary product range on the market dealing with wound and skin care management, Vetericyn Plus®, which Petlife has recently become the UK distributor of. A safe and effective hypochlorous solution, Vetericyn mimics the response of an animal’s natural immune system to fight infection and accelerate healing time for wounds. Ideal for post-operative and dermatology care, the solution provides optimal healing conditions. We look forward to seeing customers old and new at PATS Sandown; if you can’t make it but would like more information on any of the products mentioned, please give our sales team a call on 01284 761131. Harkers will be showcasing some exciting new products on their sister company’s stand at the 2017 PATS show taking place in Telford in September, sitting alongside some old favourites. 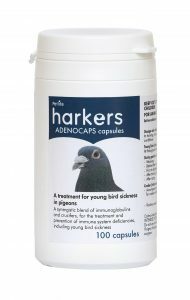 Alongside Petlife International on stand E40, Harkers will be showcasing recently launched new products including Adenocaps capsules – an easy way to administer treatment to help prevent and conquer stress-related illnesses in young birds. 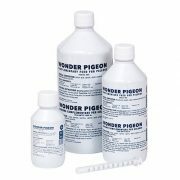 Harkers’ full range of healthcare and hygiene products for racing pigeons will also be on display at this year’s show. Taking centre stage on the stand will be the award winning Vizlite® Jacket – which launched at PATS Sandown earlier this year and uses latest UV light technology to provide high visibility for both dog and walker in all conditions and for hours; without the need for any batteries, electricity or wires. The coats are made from Flectalon fabric which is lightweight and extremely thermally efficient. Vizlite was voted favourite product by retailers at The Trust Pet Products Trade Show 2017. Petlife’s Christmas Vetbed® collection will be on display at PATS and will include a new light blue design with white snowflakes. For small animal buyers the recently rebranded range of Natural Science supplements from Oxbow will also be on show. Along with bestsellers Western Timothy and Alfalfa Hays, Simple Rewards Baked Treats and Pure Comfort bedding. 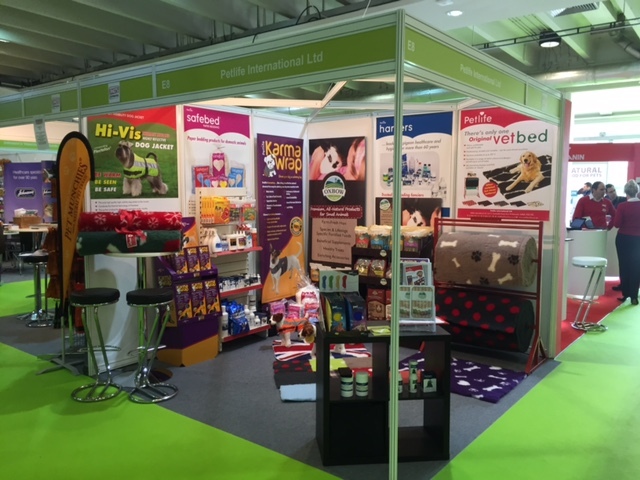 You will find the Petlife team on stand E40 with a full range of dog, cat and small animal products including many popular products such as Vetbed®, Otodex and Safebed and the Harkers range of healthcare and hygiene products for racing pigeons. There will be exclusive PATS deals, only available when visiting our stand and across our full range – including money off and multi buy offers. We look forward to seeing customers old and new at PATS, if you can’t make it but would like more information on any of the products mentioned, give our sales team a call on 01284 761131. 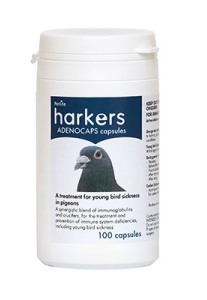 Now available from Harkers – Adenocaps – proven to help treat and prevent young bird sickness. From a young age racing pigeons are prone to stress related racing issues including young bird sickness. Poor health in pigeons can have a drastic effect on performance. If caught early it can be nipped in the bud returning the bird to top racing performance and very quickly. Harkers’ latest product, Adenocaps, presents an easy way to administer a treatment to help prevent and conquer stress-related illnesses in young birds. Harkers Adenocaps contain immunoglobulins and selected crucifiers to enhance a bird’s natural immunity to illness. The new capsule form makes dosing easy to administer and with 100 capsules per tub, it can cost as little as 40p per treatment. 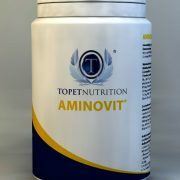 Mr Petale, a pigeon fancier from Stirlingshire recommends Adenocaps, “I have trialled Adenocaps and during this period I have seen no new cases of young bird sickness, to say I am delighted is an understatement. I cannot recommend Harkers Adenocaps highly enough”. Harkers “Wonder Pigeon” a remedy designed to treat against intestinal bacteria is now available to purchase in a new 150gm trial size – allowing your customers to try the product before purchasing the larger 500gm or 1kg size. You can order the new 150gm trial size Wonder Pigeon direct from our sales team by calling 01284 761131 or by visiting the trade section of our website here. Wonder Pigeon is also available in a 500gm and 1kg size. uly scientifically formulated supplementary feed offered to racing pigeons and the results were truly remarkable. Since it’s introduction, demand for Hormoform has increased with most important races being won by birds prepared by Hormoform – fanciers have satisfaction and confidence in the product. Place an order today and give your customers even more reason to buy Hormoform from you! Call 01284 761131 for more information and to order. 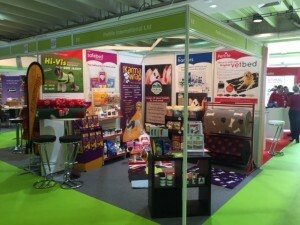 Petlife International and Harkers will once again be exhibiting at PATS Sandown on the 21st and 22nd March. Returning to stand E8 in the Surrey Hall, we’ll be showcasing old favourites with new designs as well as brand new products for 2017. 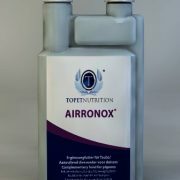 On the stand, there will be the Harkers range of healthcare, hygiene and feed supplements for racing pigeons, including two new products recently launched and well received, the 4 in 1 Spot On and Ridmite. Also, the ever popular Vetbed® range alongside a brand-new design for the spring and the recently re-packaged Vetbed® Gold. Alongside this, the Oxbow range of feeds, treats and supplements for small herbivores as well as An o ld favourite Safebed will be available as well as the Wipeout Household Flea Spray with a brand-new look. Making its debut appearance at PATS, an exciting development on our already popular 3 in 1 Hi-Vis Dog Jacket to further enhance the ability to keep owners and dogs safe on winter walks, the ‘Petlife VizLite Dog Jacket’. With a light reflecting strip that doesn’t just reflect light but charges under light, without electricity or batteries and emits it for up to 8 hours, whilst remaining lightweight and extremely thermally efficient. Our full range of Harkers products will be on show at PATS Telford, on the 25th and 26th of September at the International Centre in Telford. 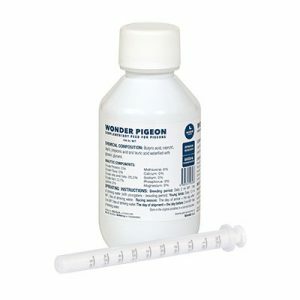 Alongside firm favourites Hormoform and Wonder Pigeon will be the most recent addition to the range, the 4 in 1 tablets, a single tablet treatment for canker coccidiosis, worms and external parasites. A popular place for customers old and new to meet up, we’ll be on hand with product information, advice and special show offers on stand E40. Harkers will be situated on the Petlife International stand, sitting alongside the range for birds will be many old favourites for dogs, cats and small animals. We have a cracker of a showcase of unique and original festive Vetbed designs, for Christmas 2016. Visitors to PATS 2016 can take advantage of some great show offers including 5 + 1 free or buy 2 get 1 half price on all Vetbed rolls and pre-cut pieces. A firm favourite with dog and cat owners. Just one of many special offers exclusive to the stand at the show. We will also be launching brand new, eye catching, packaging for the Oxbow range of fortified feeds for small animals. The new look is purposely designed to really stand out on the shelf whilst reassuring the content is still the favourite premium fortified feed for pet owners. We hope to see you there on stand E40. A perennial favourite with the Petlife team, PATS Sandown 2016 once again confirmed its place as a ‘must attend’ event. Launching the Christmas 2016 Vetbed designs as the clocks went forward for British summertime didn’t put the visitors to the stand off with plenty of interest from trade, particularly the red and white snowflake design. Keeping up with latest current colour trends, the newest addition to the Vetbed range, purple with white hearts, bones and paw prints was the top seller from the huge range of colours and designs available in original Vetbed, Non- Slip and Gold. Footfall was busy at the show with a good number of new customers, including many from overseas. Petlife supplies products worldwide and is a recognised brand in many overseas markets. Attending the show is as much about meeting existing customers as it is about building new relationships, old or new faces it’s always a pleasure.